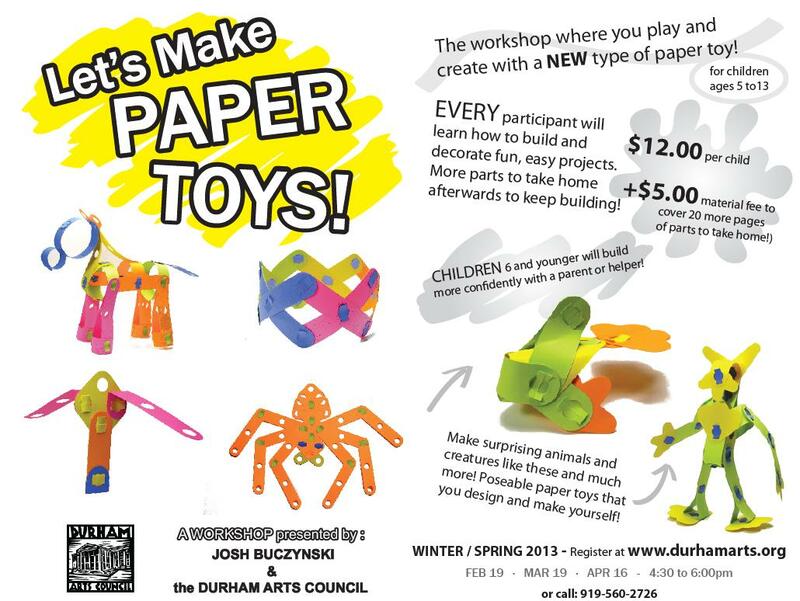 I am very happy to present a children's workshop at the Durham Arts Council this winter and spring, called "Let's Make Paper Toys!" 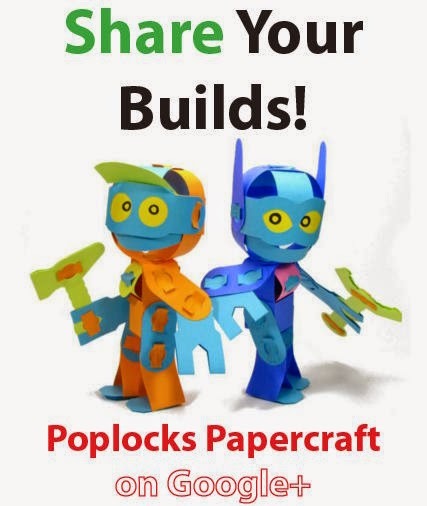 Over the last few months, I have been lucky enough to be a guest artist during several afternoon art sessions, and through these, I came to develop my Poplocks Free-Forms idea. 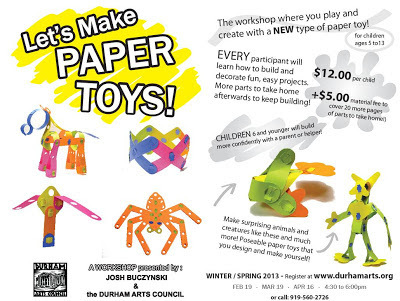 If you are local to the Durham, North Carolina area, please check out the Durham Arts Council at durhamarts.org. The below image provides more information about the workshop. I've posted a few of these flyers around and some of them have a surprise inside... I'll post those up very soon!